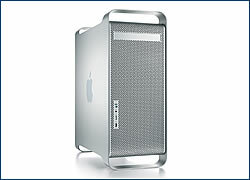 Grandly billed as “the world’s fastest personal computer”, the Power Mac G5 also breaks the 4 gigabyte barrier, allowing users to access up to 8 gigabytes of main memory. The new G5 processor – available at speeds up to dual 2GHz with a new ultrahigh-bandwidth system architecture – makes Mac’s boast a reality. Models available for as low as CZK 60,000. 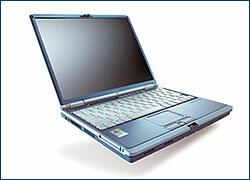 Fujitsu Siemens has released the Lifebook S6120, its first notebook to fully utilize WiFi (wireless fidelity) technology through the use of Intel’s Centrino processor. Weighing in at a very light 1.7 kg, the unit is designed to be carried nearly anywhere a signal can be received, keeping users attached to offices and networks without binding them with wires. Available for a retail price of CZK 48,880. 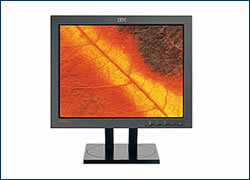 IBM has released an impressive flat panel monitor, the ThinkVision L70, featuring 1.3 megapixel resolution, dual video input, 43 cm screen, direct access to image setup, and cantilever adjustment. Designed to bring optimal performance at entry-level price, it’s available for CZK 20,280.